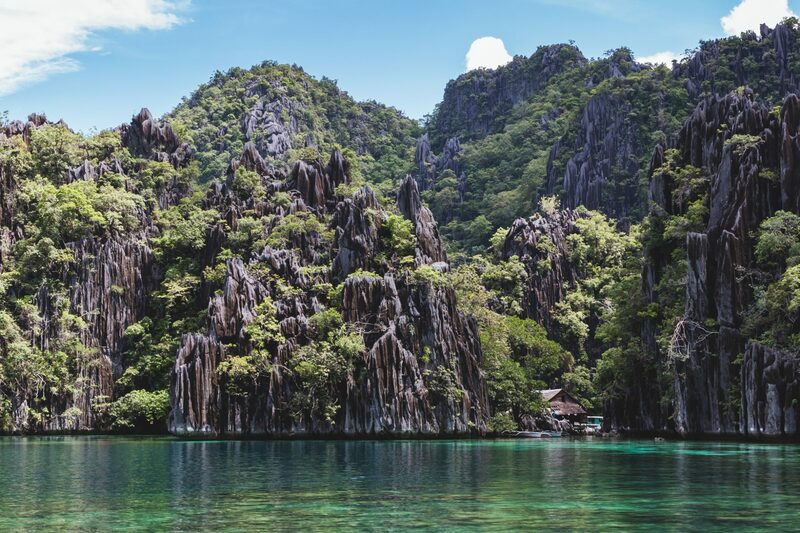 Coron is just 1 of 7,107 islands, but it’s always listed as one of the top 10 places to go island hopping in the Philippines. We were very lucky to be invited on a 3 day press trip by the Tourism Promotions Board Philippines after attending TBEX. 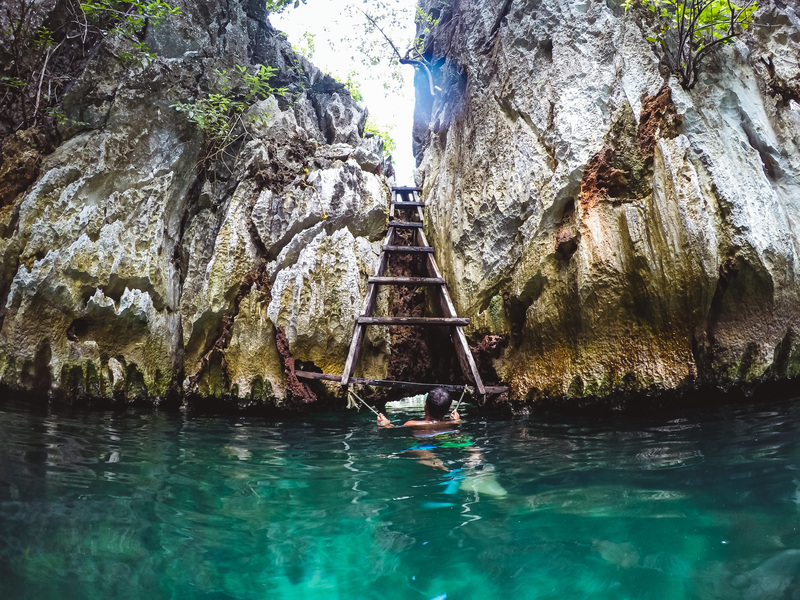 The second day of our trip was an island hopping adventure, snorkelling in the Twin Lagoon, swimming in the Kayangan Lake before heading off to Club Paradise. 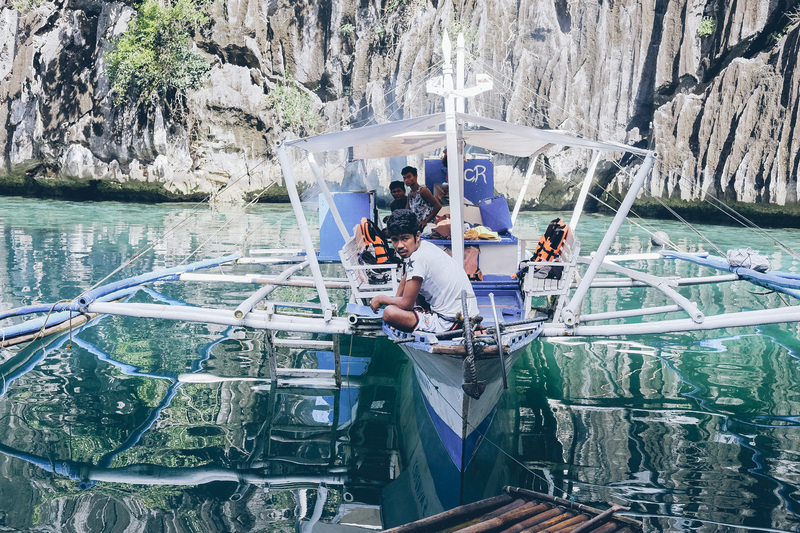 We daily vlogged our days in Coron along with the rest of our trip to the Philippines, which you can see below. 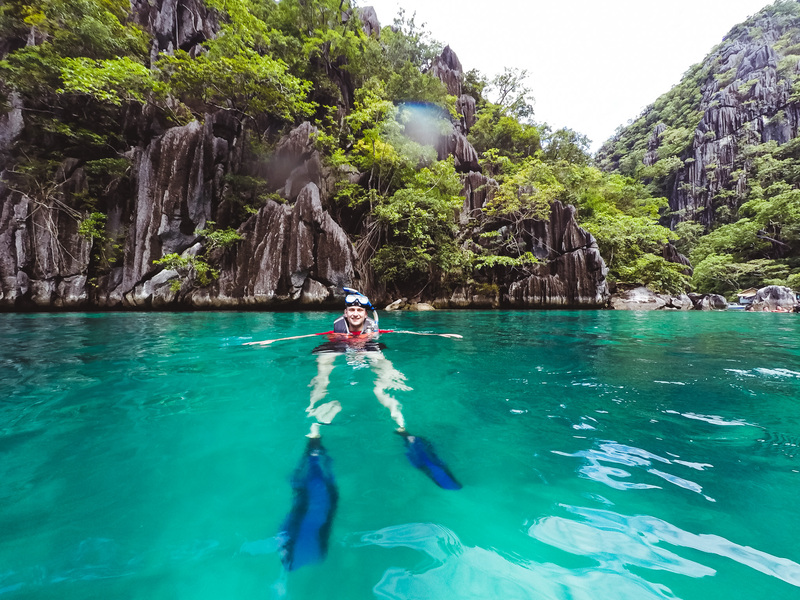 Island hopping around Coron is one of the most unforgettable things you could ever do. 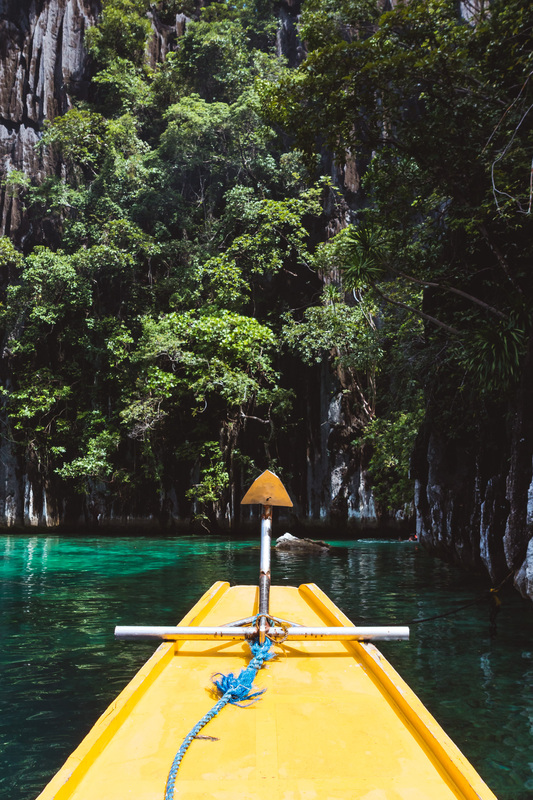 We took a boat to Twin Lagoon and we were immediately taken aback with the beautiful lime rock formations against the emerald green waters. It was absolutely breathtaking. 6 hours on this was surprisingly quite comfortable! I’d never snorkelled before, so my first time at a place like this was amazing and unforgettable! We were first ones at the lagoon for a good 20 minutes before extra tour groups started arriving, so we were lucky to experience the area in tranquil peace and quiet. The Twin Lagoon is a mix of salt and freshwater which actually makes it quite blurry when looking underwater. 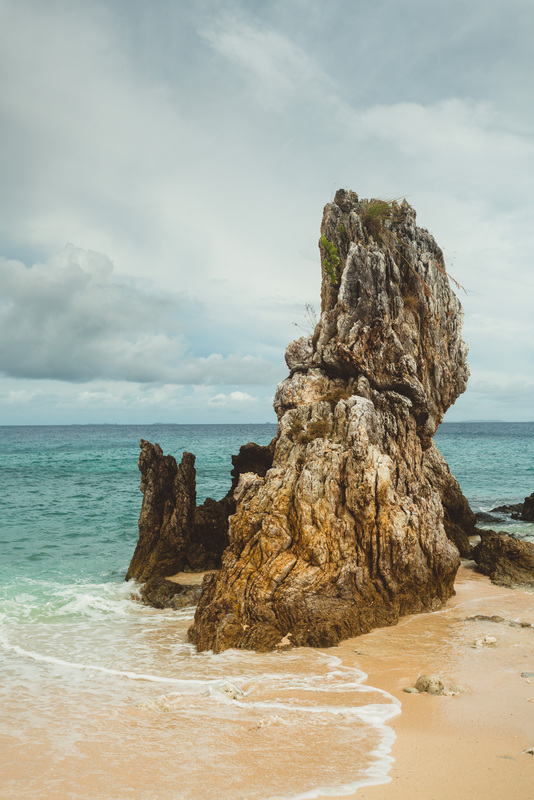 To be honest, this isn’t really the best place for snorkelling, but it’s definitely amazing for swimming and looking up at the rocks! Siete Pecados was our next snorkelling stop before having our lunch. This time there was plenty more colourful fish and better coral reefs to see underwater. If you go to the right spot, you can actually find a nemo fish! We ate our lunch at Bulungan Island; a small private beach area with only tables and huts amongst the trees. The smell of the squid and fish being grilled on our boat while we snorkelled got me all kinds of hungry. 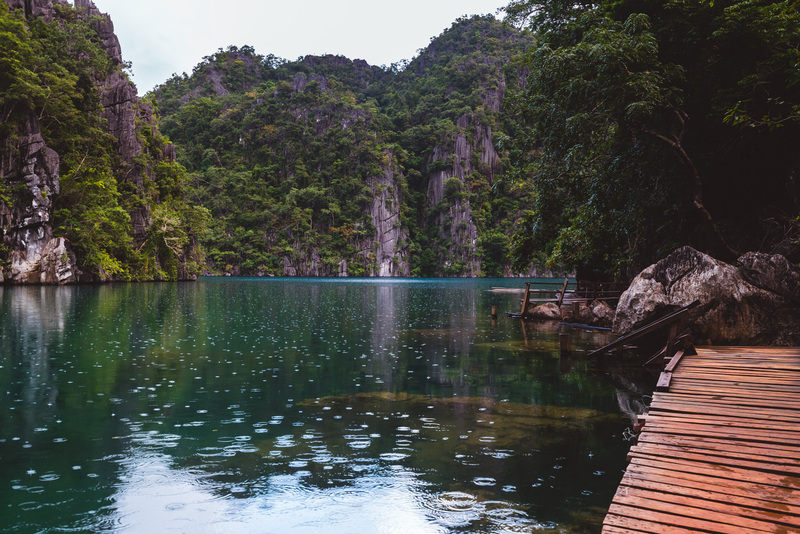 Kayangan Lake is the postcard shot of Coron and often even the Philippines itself. A ten minute hike up the hill rewards you with this beautiful view and a further 5 minutes down the other side of the island takes you to the lake itself. 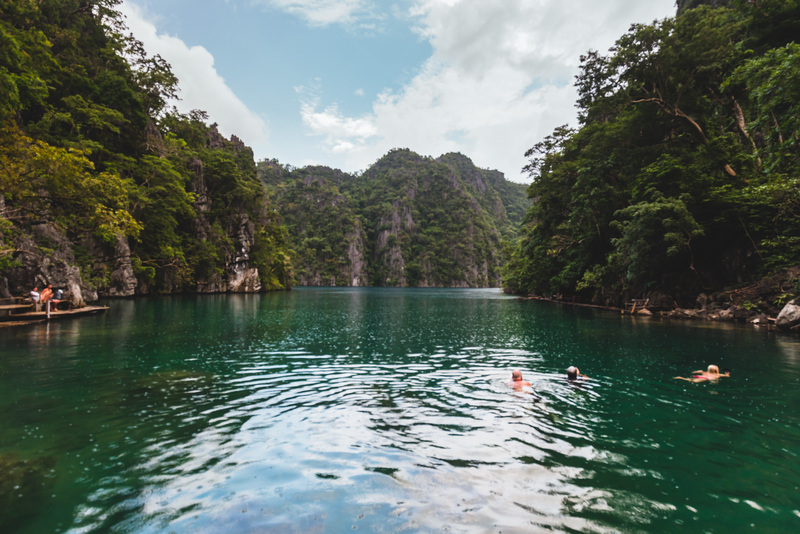 It’s actually one of the cleanest lakes in Asia and it was so therapeutic for swimming. 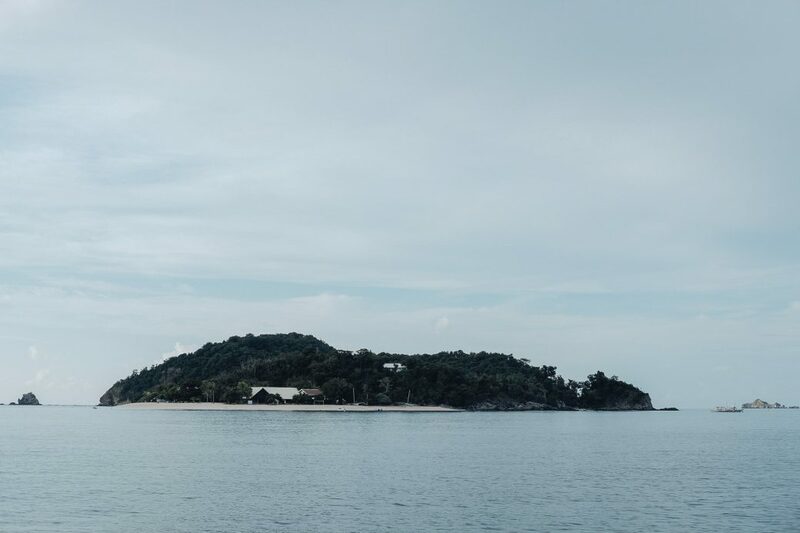 After an active day, what better way to relax, than on our very own private island at Club Paradise, Palawan. 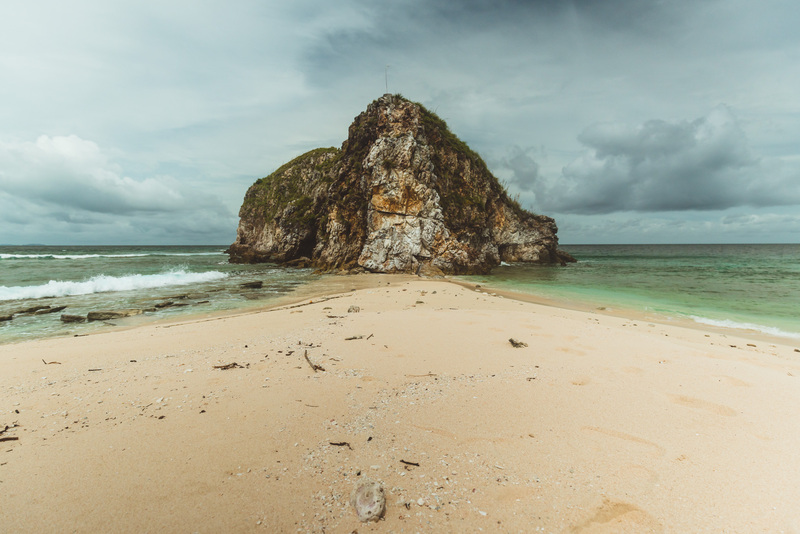 The feeling of being on an island gives you that freedom to fully relax and get away from everything that’s happening in the world! 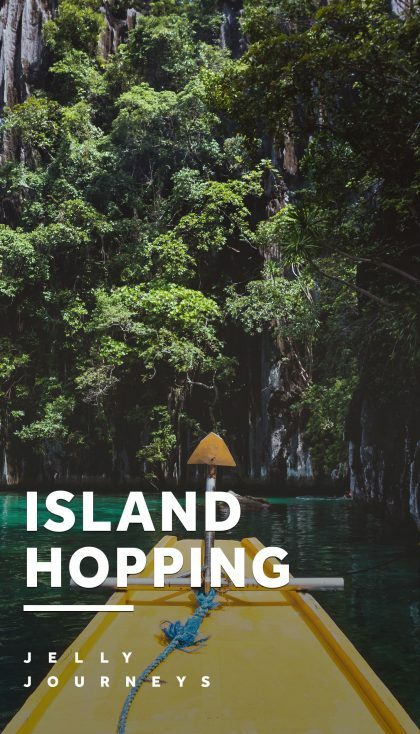 Club Paradise Palawan provides their own island hopping tour with snorkelling spots in better secluded places such as Dimalanta Island, Diatoy Island and Isla Walang Lang-Aw, which is literally like Joe said in the vlog “a cartoon island”. It’s literally an island with one tree, a few rocks and nothing else. For our second day at Club Paradise, after a morning snorkel session, we had a traditional Filipino culinary experience, a boodle fight. This is where food is piled onto banana leaves across the table, inviting you to eat with your hands, symbolizing camaraderie, brotherhood and equality within its military origins. 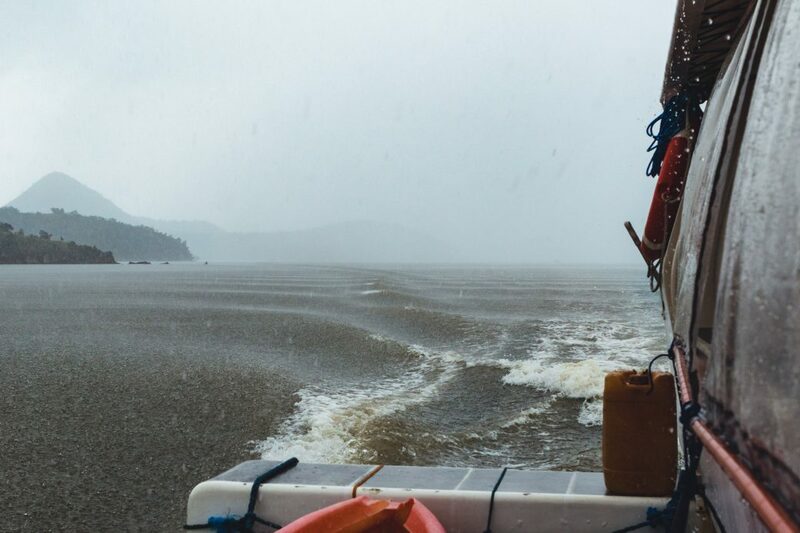 During our time in the Philippines, there were about four typhoons following us. 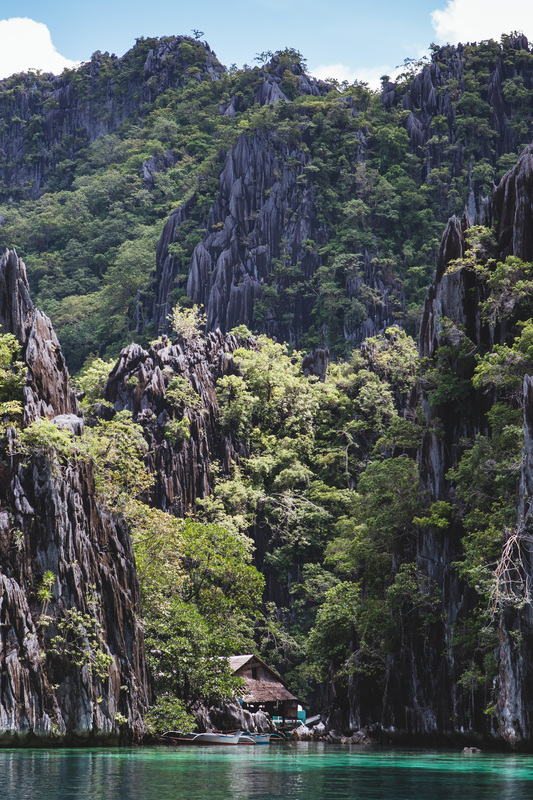 However we were really lucky to only have been caught in one of them on our last day in Coron, which only really delayed our flight back to Manila by a couple of hours. We’d like to thank the Tourism Promotions Board of Philippines and TBEX for arranging our trip. 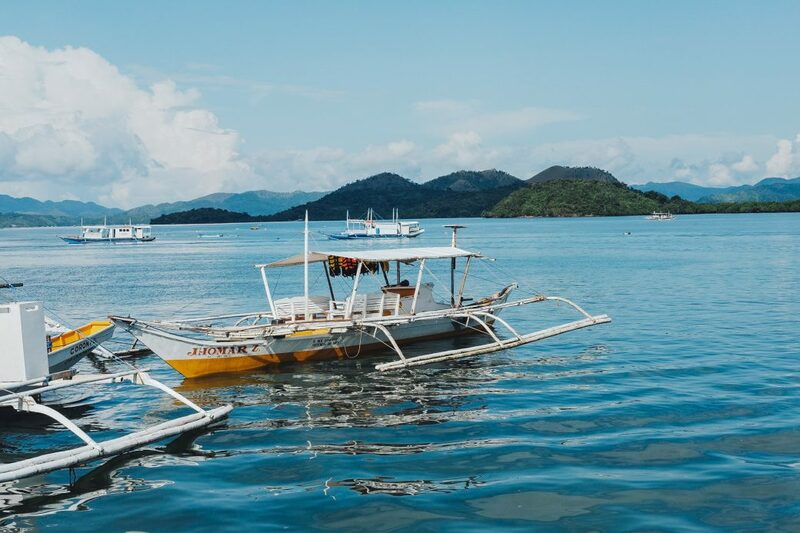 The itinerary was pretty special for us, especially for our first time in the Philippines and we really felt lucky having the chance to explore Coron, Palawan. 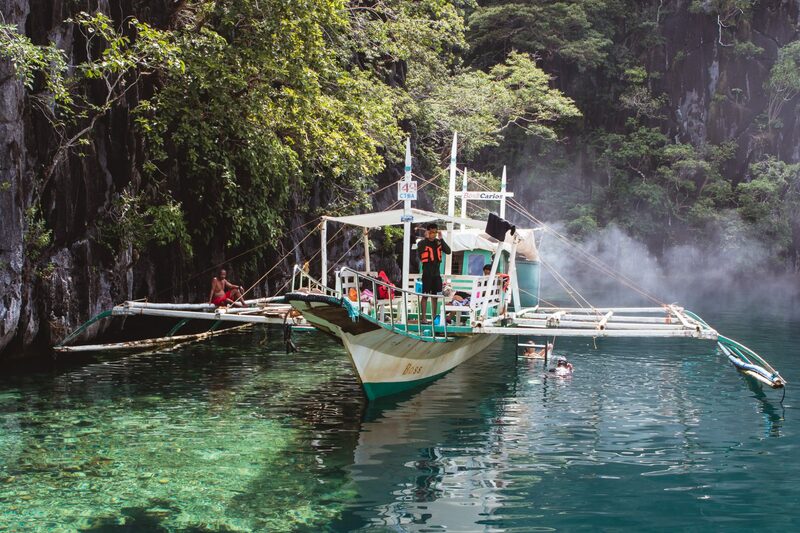 Check out what we got up to on our first day in Coron. Amazing photos!- Would love to go one day. Great job! Thank you! 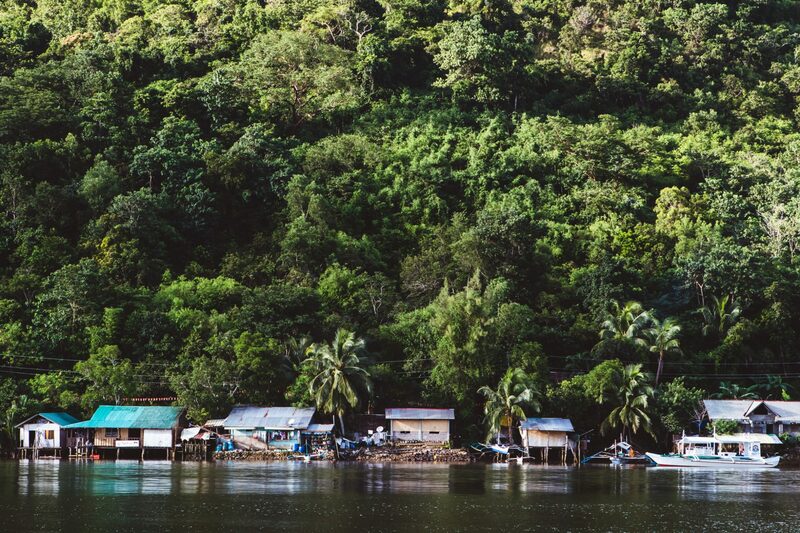 The Philippines has been my highest recommendation for travel, since finishing the trip — it's just incredible! 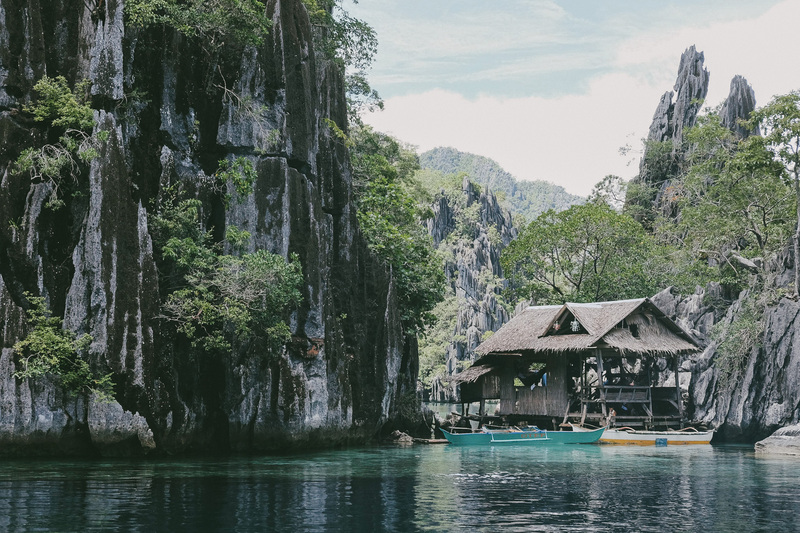 Quite interesting post!So many people usually compares Coron, Palawan to Halong Bay, but I think it's not equivalent to each other. 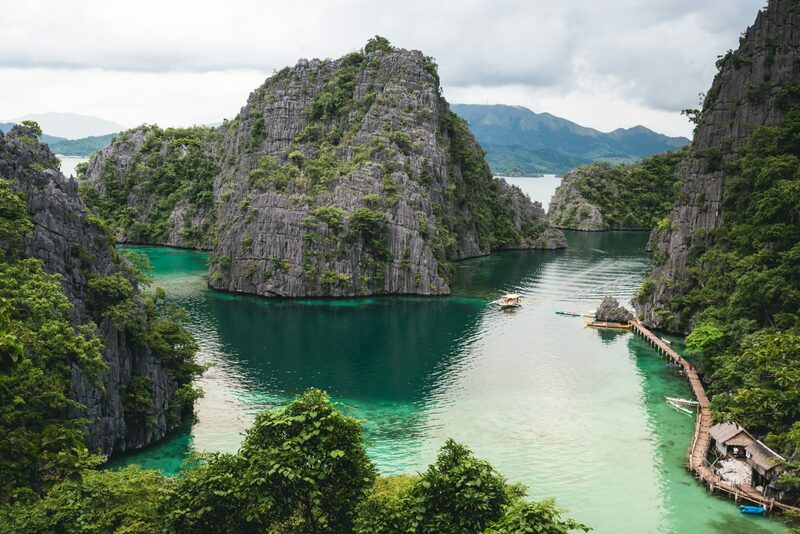 Just one similar thing is that both of them are bays with the breathtaking limestone karsts. However, activities and atmosphere there are completely different. Great article! 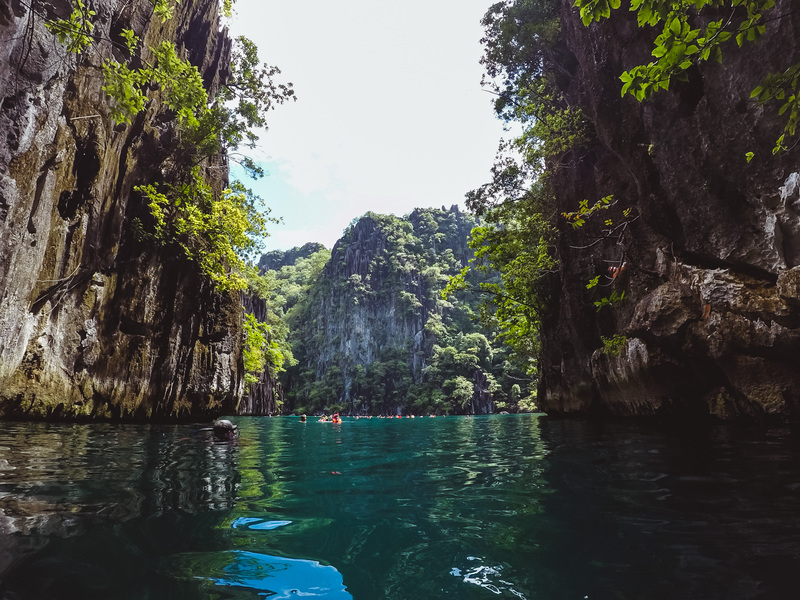 WOW those are amazing pictures, i have always been wanting to Palawan to see those rock formation and to swim the crystal clear water, i was born and raise in Mindanao been to most major tourist destination in the country except Palawan.